Hip-Hop has a notoriously short memory and a spotty track record when it comes to celebrating its legends. Anyone not named 2Pac or B.I.G has to settle for being a footnote. That makes it all the more surprising when someone finally and properly pays the proper respect to those most deserving of it. 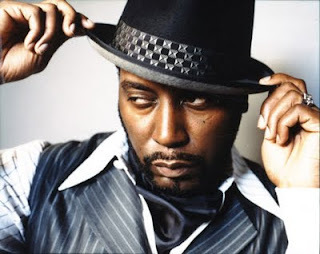 Last night, TV One’s music documentary series Unsung aired an episode dedicated to the smooth operator himself, Big Daddy Kane. It’s been a long time coming. Kane isn’t as widely lauded as his Golden Era contemporaries Rakim and KRS-1, but his contribution is every bit as substantial as theirs. He wasn’t just a lyrical assassin, but an all around entertainer. He’d spit precise, rapid fire rhymes while busting dance moves in three piece suits. He blended the 70’s player aesthetic with that of an 80’s B-Boy. The mish mash resulted in perhaps the most complete entertainer rap had seen up until that point. 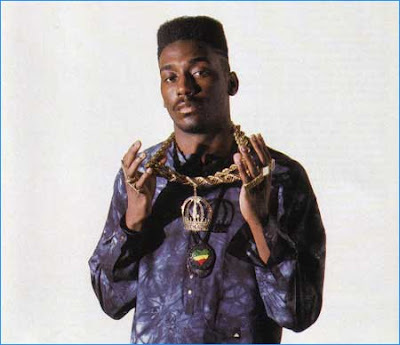 Antonio Hardy aka Big Daddy Kane. Unsung captures that vibe through testimonials from Kane’s friends and colleagues. In a mere 44 minutes, it covers almost everything a fan would want to know. It does so in an earthy and colorful style that suits the subject much better than the glossy and stoic tone of VH1’s Behind The Music would have. Kane was a ghetto celeb who transcended that label without foregoing his Bed-Stuy Roots. Unsung gets that, and covers the rise, fall and latter years of Kane in a way that only a true Hip-Hopper could appreciate. If you’re a true Hip-Hop head, watching this episode of Unsung will make you feel giddy and sentimental. Kane was not only of Hip-Hop’s greatest artists, but one of its first true sacrificial lambs. Like Hammer, Kane got lambasted for blazing a trial that subsequent generations of rappers profited from in ways that he could never have imagined. In true player fashion, he’s not bitter about it. He just keeps doing him. For those of you who don’t know, and even for those that do, I have embedded the full episode below for your viewing pleasure. Special thanks to yardie4lifever2 over at Daily Motion for posting it. Long live the Kane!